YVR is lookin' pretty good for being 80 years old. When Vancouver International Airport opened in 1931, it only had a single runway and a small, wooden building. Today, it's a world-class airport that serves 16.8 million passengers and employs 23,600 people. 80 Memorable Moments Photo Gallery: Relive YVR's 70 years through a photographic display. The gallery runs from the Domestic Terminal food court to the International Terminal's "Spirit of Haida Gwaii." Level 3 of the Main Terminal. In-Terminal Entertainment: Live DJs, magicians, face painters, balloon twisters and lots of giveaways. Lunch specials and product sampling at YVR restos and shops. Main Terminal Building (Domestic and International). Airside Ballet: YVR's airfield firefighting emergency trucks showcase their unique "ballet" in a display of coordination, timing and sheer equipment size. Domestic Terminal, Public Observation Area, Friday and Saturday at 11 AM. Vintage Aircraft Display and Flypast: See vintage aircraft parked on at the original location of the airport. Best views are from the outdoor viewing platform. Flypast by the Fraser Blues on Friday at 2 PM. South Terminal Building, south side apron. An 80th Anniversary Grand Prize will be given away to a lucky winner during the two-day celebration. Just pick up one of the commemorative brochures from the Green Coat volunteers for a chance to win a two-night stay in a deluxe room at The Fairmont Vancouver Airport plus $200 YVR bucks. Globe@YVR: The Farmont Vancouver Airport Hotel's restaurant is celebrating with a Five Course Anniversary Table d'Hote menu, priced at $80 per person (plus taxes). The hotel is also offering a special: Book two nights in a row between July 22-31 and receive the second night at the anniversary rate of $80. Discount Parking: Locals and visitors are encouraged to take the Canada Line to YVR. If you drive, pick up a $5 flat-rate parking coupon good for up to four hours at YVR's Customer Care counters in the Main Terminal. Complimentary shuttles will transport visitors between the Mai and South Terminals from 10-3 each day. 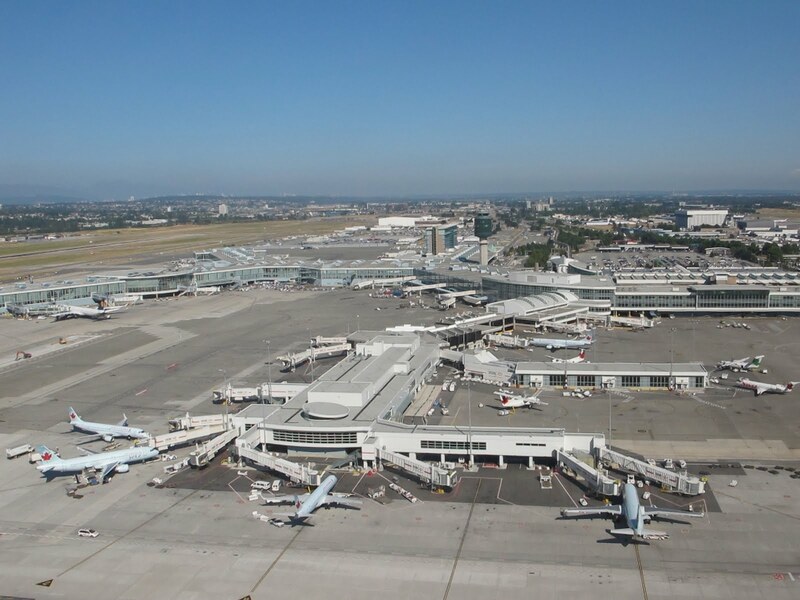 Live at YVR for 80 Days: Read my previous blog post about a contest to select a lucky person to live at YVR for 80 days!